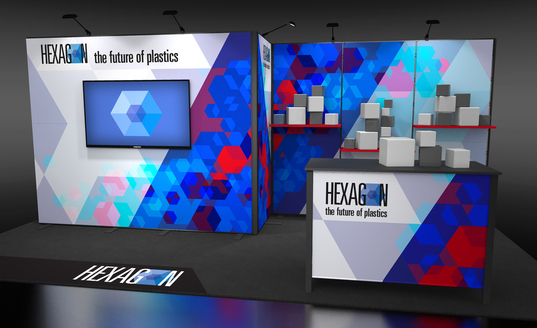 Amplify™ display accessories allow you to customize your exhibit to fit your brand and objectives: monitor mounts for flatscreen presentations, repositionable shelves, LED lights and pegboards that can be printed with graphics (see right). Shelf capacity varies from 7 lbs. (3.2 kg) near the top of the exhibit to 50 lbs. (22.7 kg) near the bottom. Stabilizer feet or, for greater weight bearing capability and stability, heavier baseplates are also available. 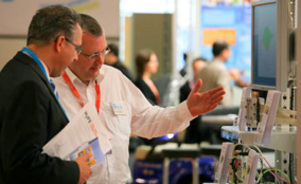 Universal frames and connections provide flexibility. 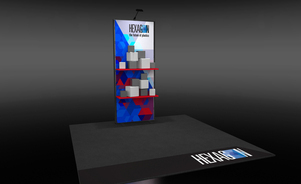 You can easily add components to expand your exhibit size as you grow. 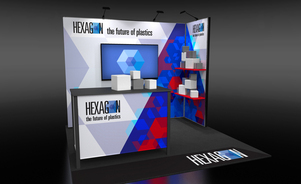 Or you can use parts of your larger exhibit to downsize for smaller shows and booth spaces. Custom graphic sizes are also available. PictureGlow units install with ease as frame extrusions are labeled and connect using a simple T-wrench. Most lights are pre-installed on the frame. 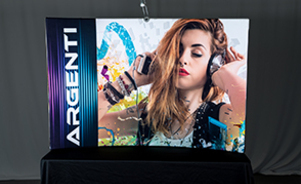 Concealed Graphic Connection PictureGlow has a proprietary FlexLock® Silicon Edge Graphic (SEG) that quickly seals into the frame to create a seamless graphic look that glows. 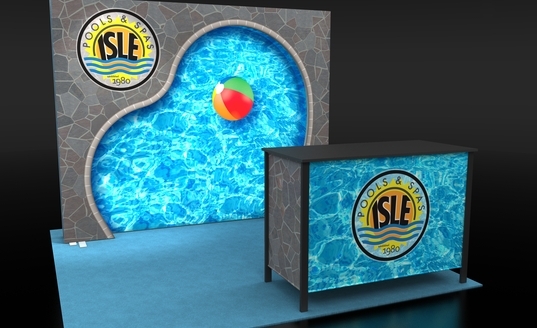 Skyline fabric graphics provide the very best look for your brand and message. 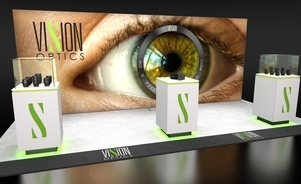 Graphics up to 230” (the largest PictureGlow unit) are seamless for a clean brand presentation. 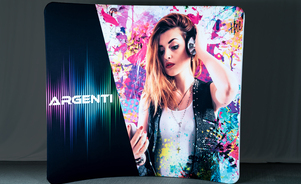 Single-sided graphic with reflector panel can accept accessories. 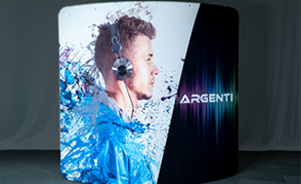 Single-Sided or Double-Sided Graphics PictureGlow can accommodate graphics on both sides of the unit. Invita frames can be used on their own or you can overlay shapes to create dimension and interest. Invita offers three backwalls, three accent frames and a curved tabletop. 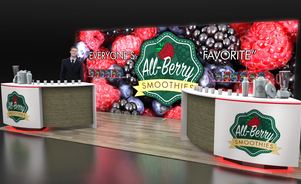 Showcase digital content by adding a flatscreen and shelves to display lightweight products. Shelves are available in silver textured metal or frosted acrylic. Most single-sided designs support up to 10 lbs. total, while double-sided designs can support up to 20 lbs. per side. The lightweight aluminum tube frame is a snap to put together with shock-corded poles and push-button connectors. 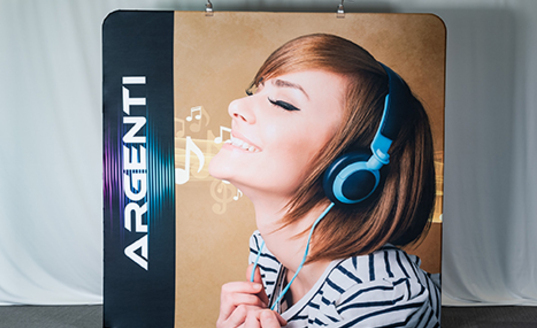 The frame and graphic pack easily into a soft-sided case and weighs 20 lbs. or less per frame package. 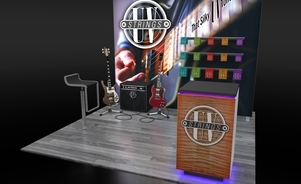 Optional hard cases are also available.